Calling all poets, rappers, singers, dancers, instrumentalists, spoken word artists! Yes! Open Mic Night is here! 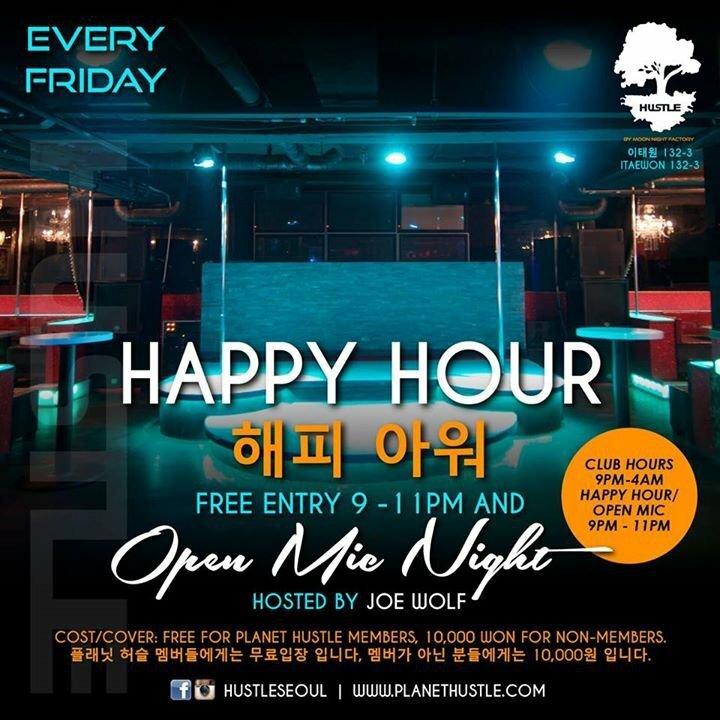 We will have Happy Hour on Open Mic every Friday night at Hustle in Itaewon. Make sure you sign up on the Hustle 허슬 page; every Monday we will make a post that tells people to sign up, the first 15 people to sign up on that post will get to perform at the Open Mic on Friday. If you have any questions, please send us a message. Thank you and we'll see you on Friday!